Twenty-four in-house staff at the resort’s premier shopping destination have become the largest retailing organisation in the town to gain the recognition. Houndshill now joins other tourist attractions and leisure venues across Blackpool to gain the national award which recognises commitment to excellent customer service. With all their staff now trained by local WorldHost providers, the centre is now eligible to apply for Business Recognition status. WorldHost is a suite of world-class customer service training programmes which has been used to train more than 200,000 people across the UK. The courses include training on serving customers with disabilities, welcoming customers from other cultures, increasing sales through service and an introduction to the general principles of customer service. Earlier this year, Blackpool became the first tourist resort in the UK to be awarded WorldHost Recognised Destination status after more than 2,500 front-line staff qualified for the award. Staff at Houndshill have gained WorldHost qualifications in working with customers with disabilities, as well as management solutions and customer service standards and will roll out other programmes. The shopping centre now hopes to join the likes of Blackpool Pleasure Beach, the resort’s Merlin attractions at the Tower, SeaLife Centre and Madame Tussauds, as well as Blackpool Zoo, Sandcastle Waterpark, the Winter Gardens and Blackpool Transport to be awarded Business Recognition Status. 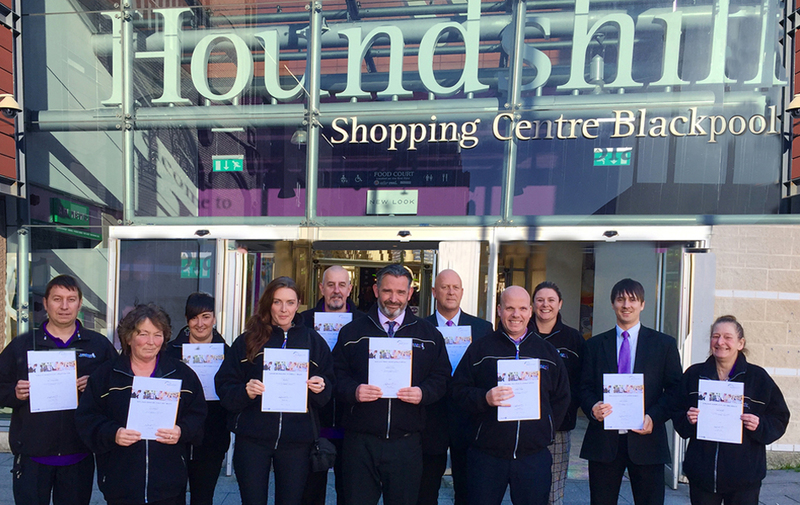 Nigel Kilgallon, Chair of the Blackpool Tourism Academy, said: “As Blackpool’s premier shopping centre, it is great to hear Houndshill have now achieved WorldHost Recognition status as this adds further commitment to excellent customer services across the resort.